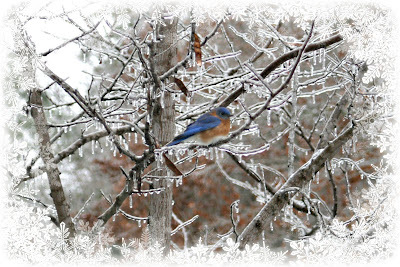 Yesterday we had a winter storm with a mixture of ice and snow (mostly ice). 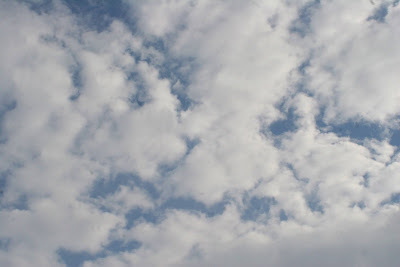 Everything is so beautiful outside today! We have quite a few branches down because of the weight of the ice. A lot of people in our area lost their power, but ours only flickered off and on. This is a power line that is down at our neighbors'. You can see how thick the layer of ice is around the line. Riding the four-wheeler is always fun in the ice! The ice is so pretty ! 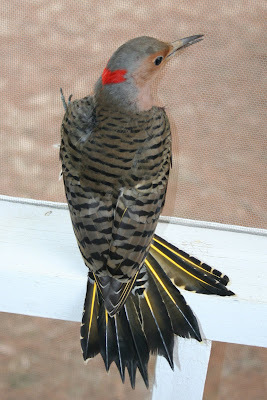 This bird got stuck on our screened-in porch (the door was open) so, before helping him find his way out, we took pictures of him. 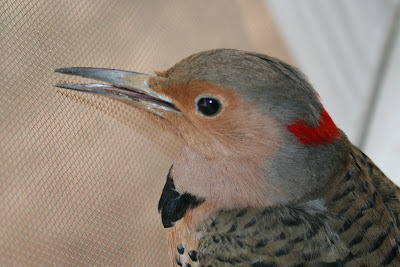 Because of the winter storm that is coming, our feeders have had many visitors. For Christmas David gave me (Deborah) a remote for the camera. Yesterday I set the camera on the tripod by a feeder, then went up on the porch to wait for the birds to come back. When they landed on the feeder all I had to do was push the button! "How DARE you take my picture!" 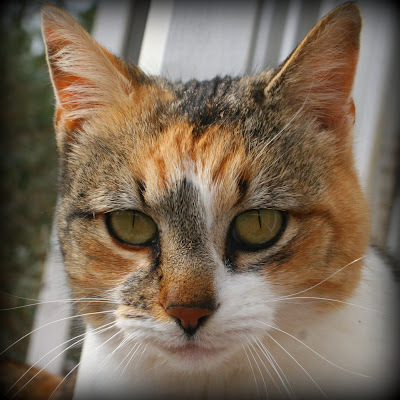 I had to put Butterfinger on the porch while I was taking pictures of the birds. 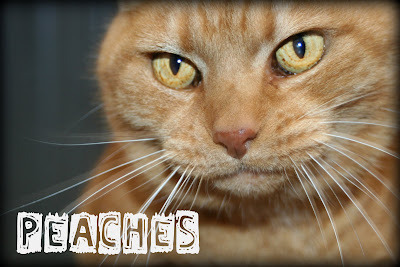 Peaches looks so funny when she "meows"
...and this one is a Common Flicker. After the temperatures had been below freezing for a few days, we wanted to see if we could walk across our little pond. We were successful, so we decided to test our larger pond. The snow was coming down beautifully as we walked to the big pond. ...and, after declaring it safe, is joined by the rest of us. We've never had freezing weather long enough to make our ponds safe to walk on. It was a lot of fun to walk, run, and slide around on the ice! We finally got a little snow! 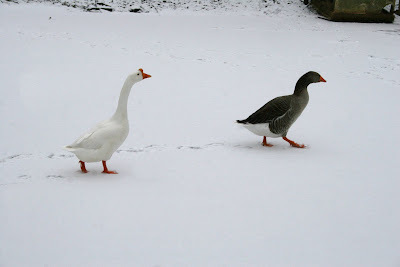 The geese stand on one foot to keep the other warm.